Mumbai : After six days of wide protests, Maharashtra resident doctors called off their strike and re-joined their duties with immediate effect in the wee hours. The announcement was made after meeting Medical Education Minister Girish Mahajan, who accepted all the demands put forward by the doctors, assuring the same in writing. Dr. Amol Parate of the Nair Hospital said it was an achievement for them, adding that they were glad with the decision. “Representative from each medical college met Medical Education Minister Girish Mahajan. He accepted all our demands and within the time-bound period. He accepted the demands we had put forward through this mass leave. All colleges have been informed to join back with immediate effect,” he told ANI. Dr. Amit, also from the Nair Hospital, informed that they had called-off their mass bunk and would resume their duties with immediate effect. “The government was giving us assurance verbally, but we wanted an assurance in writing which we have got today. The government has said that it will fulfill our demands such as security, two-pass system, alarm system within 15 days,” he told ANI. “The government has accepted all our demands. All the doctors are joining back with immediate effect. The medical representatives of each college will be conveying the same to their respective college after which the doctors will join back their duties,” he added. Doctors first and foremost demand was security i.e. presence of armed personnel in the hospital premises. Till now, there was no ground-level implementation, according to a doctors’ statement. They were only being given assurances, but now the Medical Education Minister has set police personnel in every college. “Till April 5, there will be temporary force that will then be replaced by special Armed Forces of the Maharashtra State Security Corporation,” one of the doctors told ANI. The strike by Maharashtra’s doctors, who were protesting a spate of assaults on colleagues by patients’ relatives, lasted for six days. Earlier on Friday, the Indian Medical Association (IMA) called off its strike after the Bombay High Court issued an order that punitive action can be taken against them by the Maharashtra Government and the Bombay Municipal Corporation (BMC) if the doctors do not return to work by tomorrow. 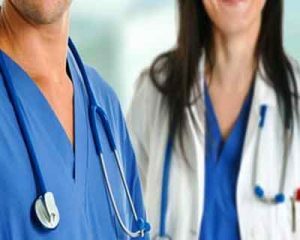 Following the warning, the Maharashtra Association of Resident Doctors (MARD) earlier in the day assured that they would return to work by 8 a.m. the next day. Disassociating itself from the strike, the MARD had through an affidavit told the High Court that they don’t have any objection if action is taken against the agitating doctors.